During our experience we noticed that our clients starts from microblading which looks super naturally but finally even after touchup majority always prefer stronger result. So there are several options: microblading (strokes), microblading (strokes) + some shading (on bottom strokes), microblading beginning + Ombre brows, full Ombre brows. So this class is one of these options. OMBRE masterclass is a shading technique done in using machine. This class is for people who already finished machine techniques. This is masterclass. 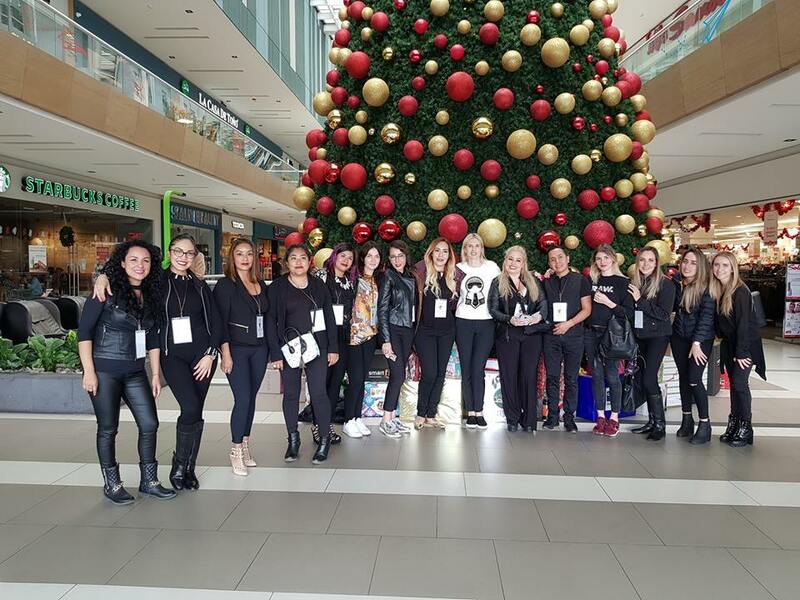 No matter how much time is after your basic trainings – if you want to learn Ombre machine technique, then you should join our masterclass. This is permanent powdered brows technique for clients who prefer fuller result than hairstrokes but still very soft. It’s a technique which looks like daily makeup done with eyebrow pencil or eyebrow shadow. The tails of the brow are darker and fade into a light beginning to the brow, giving a perfect Ombre makeup affect. The effects will be waterproof, smudge-proof and completely natural. 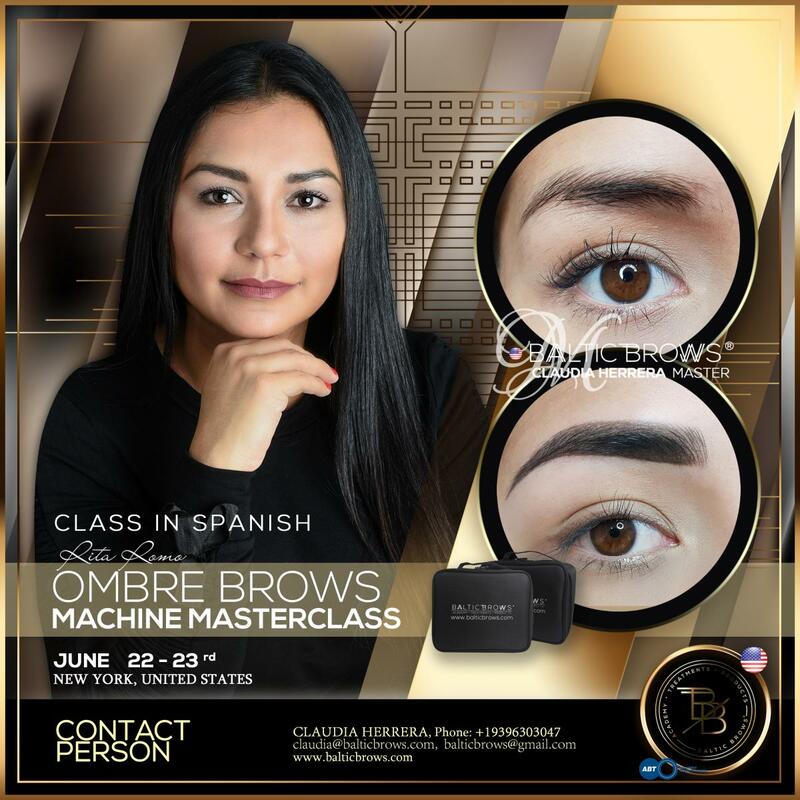 During this course we will learn Ombre powdered brows machine technique. how to get long lasting results? how numbing affects the result? how to choose the right color and how to mix them? what needles are best for Ombre techniques using machine? what aftercare is the best? how to combine strokes beginning (done with microblading) + Ombre? how to get soft powdered/ Ombre look? what is Ombre strong, Ombre light, powdered brows, Ombre bottom, Ombre powdered brows? how to understand symmetry in client’s face? what are different techniques of eyebrows (2018/2019)? why some results are cool/ashy and how to correct that? how to correct old permanent makeup using Ombre techniques? how to get beautiful Ombre without dilutant? how to get beautiful Ombre using only 1 color? Notification! More about this treatment read in chapter – Treatments. Finish Blood Borne Pathogen test and register in Health department if you haven’t done this before. Bring both licenses to hands-on course. This will let you to practice on live model. Old permanent makeup in the are you plan to practice; sensitive skin (contains blemishes, big open pores, couperosis, redness on cheeks); Pregnancy; Nursing; Drugs/ Alcohol; Allergies (nickel, anesthetics, latex, iron oxide); Retain A within last 2 weeks; Anaemia; Heart / blood problems; Prolonged bleeding; Low/ high blood pressure; Diabetes; Haemophilia; Liver disease; Epilepsy; HIV; Hepatitis; Cancer in the past 6 months; Chemical or laser peel within 6 weeks - AHA preparations in the past 2 weeks; All types injections (1 month before and after treatment); Hypertrophic scars; Keloid scars; moles; birthmarks; Healing problems; Eczema, Psoriasis, severe acne, minor skin conditions in brow area; Serious heart disorders, blood infections; Straight after waxing in that are you plan to practice; Autoimmune disease; Hyper-pigmentation; Using Accutane or other retinoids past 6 months; Sunburn; The area is already damaged or the irritations are visible; Skin conditions in the area of application (local dermatitis, bruising, skin ulcers etc); Infections bacterial, fungal or viral; Chemical or laser peel within 6 weeks. Bring everything you use for the treatment (machine, needles (1 point and 5 round) each type at least 5 pcs, rulers, pigments, numbing, other tools). During the course your workplace will be prepared (all disposable things will be given). Practice in classroom. Theory part, practical part on latex, trainer demo show work. Students practice hands-on with the help of a teacher on model, each student should find his own model. HANDS-ON MODEL (Instructor has a right to decide whether the student is able to practice on live model or no). Old permanent makeup; Sensitive skin (contains blemishes, big open pores, couperosis, redness on cheeks); Very dark old permanent makeup; Pregnancy; Nursing; Drugs/ Alcohol; Allergies (nickel, anesthetics, latex, iron oxide); Retain A within last 2 weeks; Anaemia; Heart / blood problems; Prolonged bleeding; Low/ high blood pressure; Diabetes; Haemophilia; Liver disease; Epilepsy; HIV; Hepatitis; Cancer in the past 6 months; Pacemaker – we can perform only manual techniques (no device used); Chemical or laser peel within 6 weeks - AHA preparations in the past 2 weeks; All types injections (1 month before and after treatment); Hypertrophic scars; Keloid scars; moles; birthmarks; Healing problems; Eczema, Psoriasis, severe acne, minor skin conditions in brow area; Serious heart disorders, blood infections; Straight after waxing in that are you plan to practice; Autoimmune disease; Hyper-pigmentation; Using Accutane or other retinoids past 6 months; Sunburn; The area is already damaged or the irritations are visible. 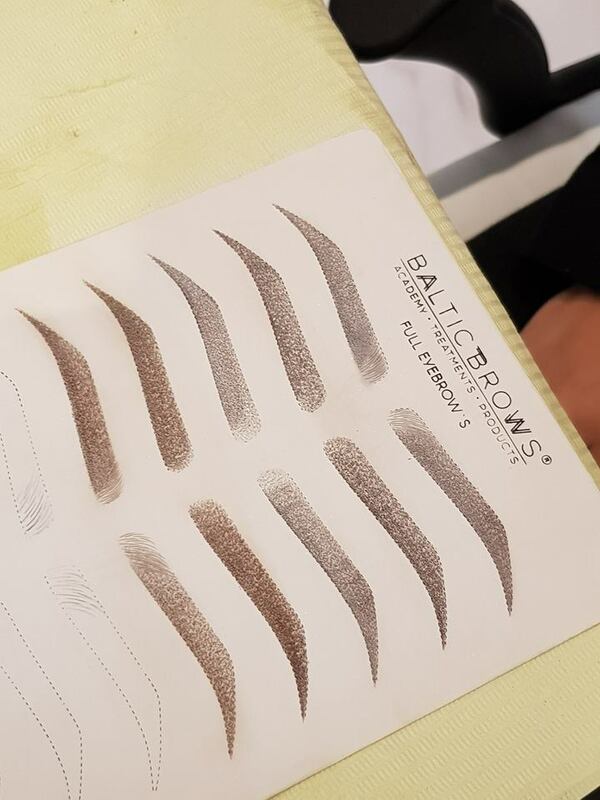 Baltic Brows® pigments colour theory and color guide. 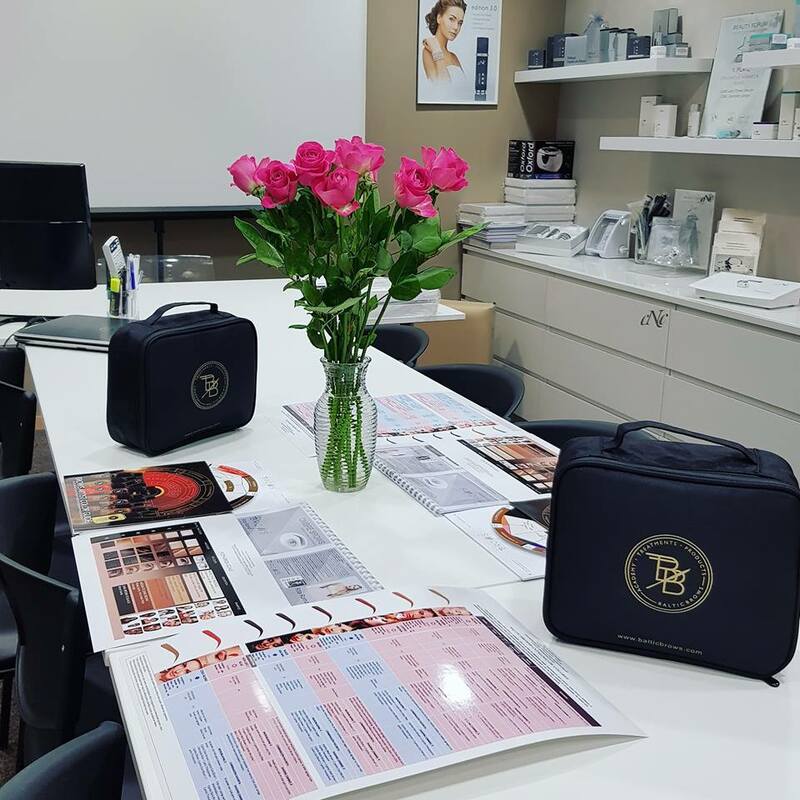 Improving permanent makeup products variety - customized golden ratio ruler, auoclave tool with a double side (combo microblading and shading), disposable tools. What should I bring to the trainings? - Everything you use for the treatment (machine, needles (1 point and 5 round) each type at least 5 pcs, rulers, pigments, numbing, other tools). During the course your workplace will be prepared (all disposable things will be given). - It includes small ombre bag. - Yes the client can feel discomfort but we numb. Everything depends on the deepness the technician works, pain tolerance, numbing strength. There are two types of numbing – primary and secondary. 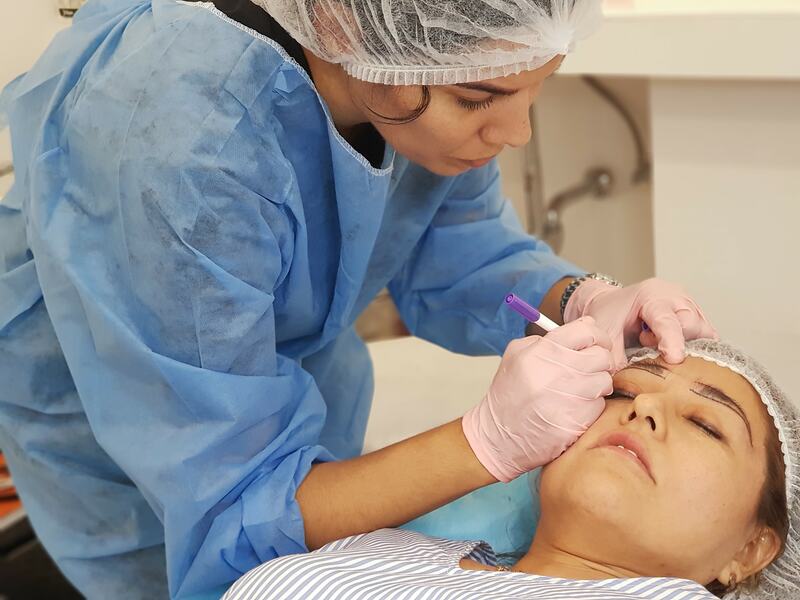 We always recommend not to use primary anesthesia for eyebrows as the retention of color is better and the skin is not so tough, slippery so it is much easier to do the first pass of treatment without numbing. The first pass duration is about 4-5 minutes, after that we always use secondary anesthesia. So the clients can decided if he/she can handle the pain during the first pass (usually the scale of pain is 5-6). If yes, then we use only secondary numbing. If not, then we use both and client almost doesn’t feel anything. Do I need a model for trainings? - Yes, you need to have your own model to practice. What is the duration of the treatment? - Usually about 2 hours. What are the treatment steps?